B 1989 George Stephens. 2m, 22spst, 4c, tr & el.pn. Gt: 8.8.4.4.2-2/3.2.1-3/5.III. Sw: 8.8.8.4.2.III.16.8.8. Ped: 16.8.8.4.16. Pembroke School was formed in 1974 as a result of the amalgamation of Girton Girls School and the King’s School, for boys. 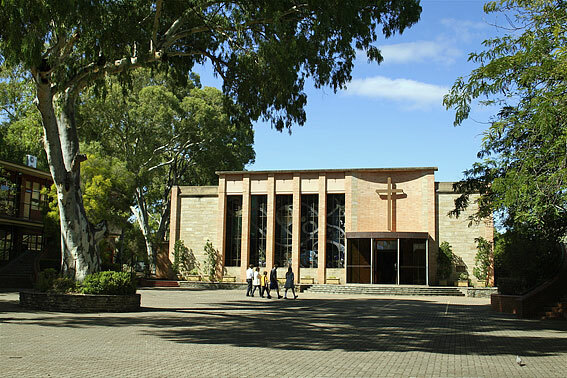 Being a church school, one might have anticipated the presence of a chapel from its inception. 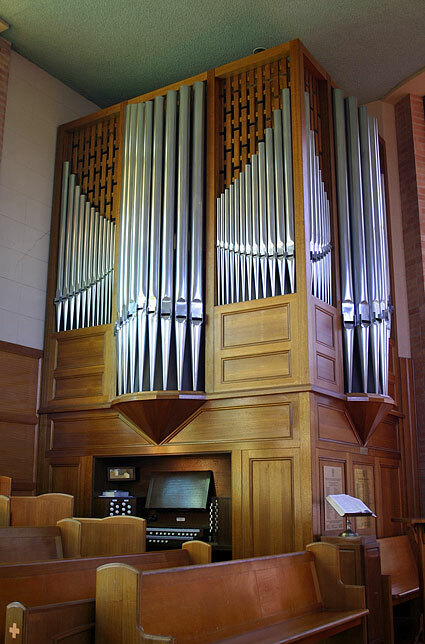 Despite several headmasters with strong religious conviction the chapel on the King’s campus was not built until 1962, with the pipe organ following in 1989. In 1942, school enrolments were down, the school faltered and was in danger of closure. W.N. Oats was appointed and given a year to reverse the school’s fortunes. Within three years this was achieved. 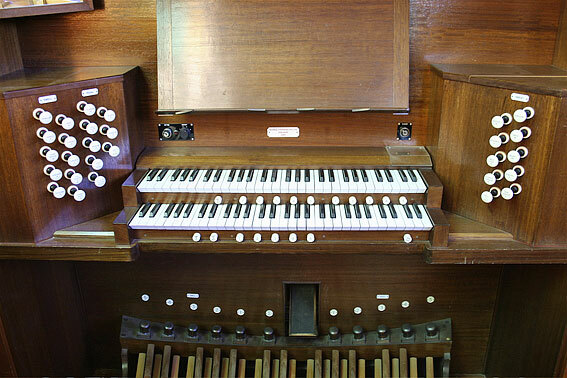 A Quaker, Oats had been born in Kapunda of a strong Methodist family and had a love of singing. 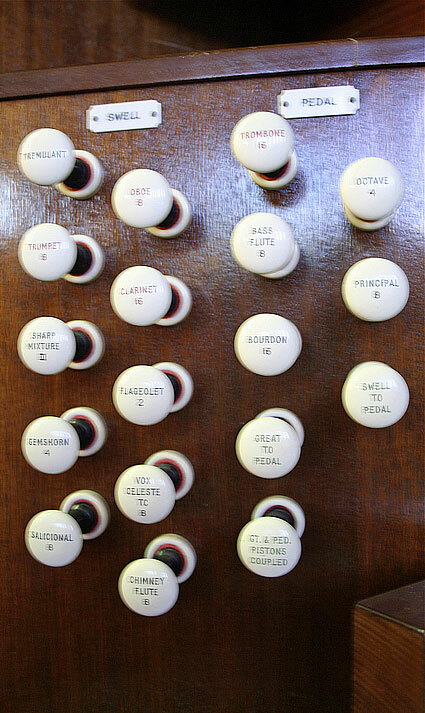 In his memoirs he recalls that his father was commissioned by “squire” Dutton of Anlaby to bring out a small choir each Sunday to sing in the Dutton family chapel.5 Oats’ educational views were regarded as somewhat challenging for King’s. His vision of it to become co-educational, for example, was not to be realised for another 30 years. Oats went on to the Friends’ School Hobart in 1945 and remained till retirement in 1973. 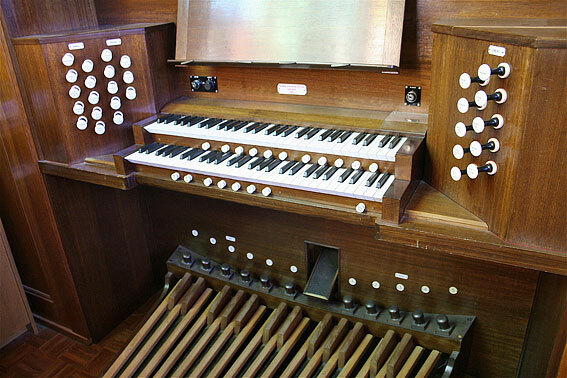 It was not until the first, and only clergyman, was appointed as headmaster that a chapel was built. R.A. Cook was appointed headmaster in 1957 and was to remain until 1973. 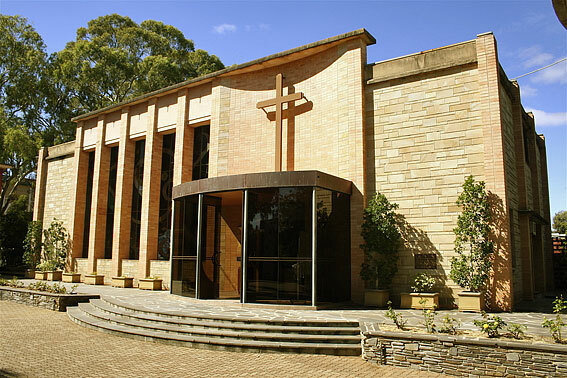 Prior to his tenure there is no evidence of plans being drawn up for a chapel. Although the school facilities catered well for the academic, physical and cultural development of the students, the spiritual had been ignored. The Revd R.A. Cook wanted to redress the situation and several factors helped, particularly the first Billy Graham Crusade of 1959. 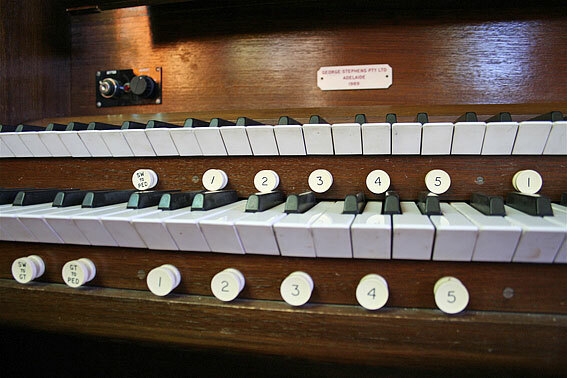 The climate was right and at the dedication ceremony on 27 May 1962 much was made of the lighted cross, “the light which guided those who put their trust in Christ”.6 An electronic organ accompanied the singing until replaced by the present organ in 1989. 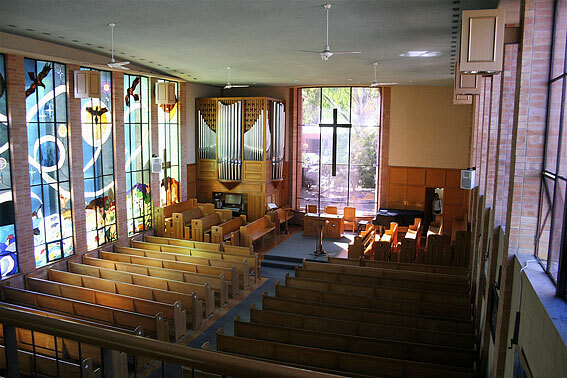 A feature of the chapel is the stained glass windows, the work of Adelaide artist Cedar Prest OAM. The east window tells the creation story and was undertaken as an Artist in Schools project with year 11 in 1999. 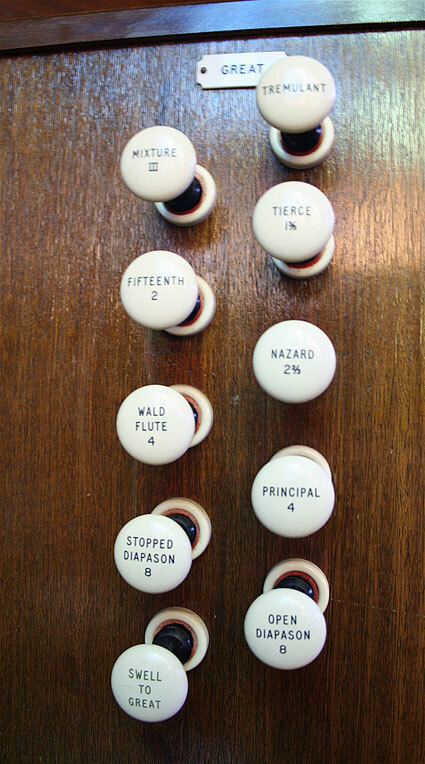 The pipe organ was built in 1989 by George Stephens. 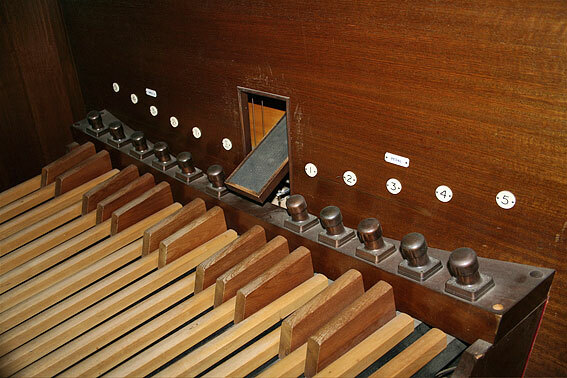 With mechanical action to the keys, tubular-pneumatic action to the offnote chests and electric stop action, it is the most substantial instrument of its type to have been built in South Australia since the 1920s. 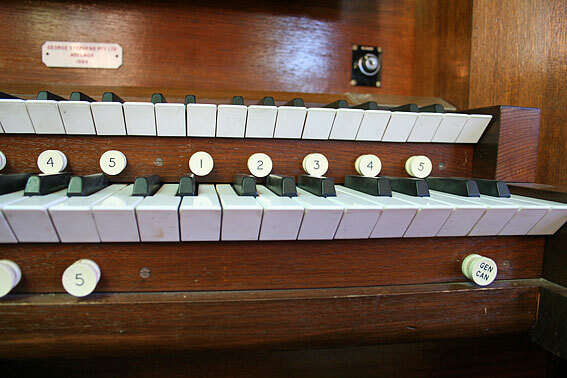 It is notable for its immaculate sound and appearance and its solidity of construction.